Since Hilton does not have a ski club, the Middle School is opening up their Ski Club on Saturdays at Boston Mills for interested Hilton families and friends! *Hilton School students and their family members can join. Friends of students can join with the understanding that all materials will be given to the student to distribute. Passes will be distributed through Kid Mail. Participants must be 8 years old by 1/1/13. Interested students/children under 8 years old are recommended to purchase the ski resort “Pick a Day” pass for the season. Admission to Boston Mills on Saturdays from 6:00pm-10:00pm for the first 5 Saturday sessions. Lessons for Ski, Snowblade and Snowboard are five (5) weekly sessions in which members can take up to five total lessons from beginner to intermediate and advanced levels. Sessions are four hours long. Lift tags are valid until the end of the season for each Saturday starting the 6th week as an all day lift ticket, and rental (if applicable). Freebie Passcard - Each member will be issued a Club Card that entitles them to three $10.00 validations per snow pass to use for times other than their regularly scheduled club session. The Club Card is for any member excluding Summit and Season pass holders. This is valid for 3 admissions to Boston Mills and Brandywine (including rental if applicable). Can be used by anyone, any day, any time of day & all day, including holiday break. Online Registration Only!! You must email Jan Holkovic at all4js@hotmail.com with the names of the people joining and specify "Hilton, Boston Mills, Saturday." Jan will email you the online sign-up instructions. Without this, you will not be able to register. During the ski sessions, Jan will use the email to keep in contact with any important information. Registration Deadline is Monday, 11/19/12. This ensures club passes & lift tags are back to students before the holiday break. 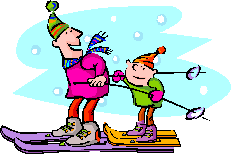 Please note: The Middle School Ski Club does not provide transportation to the ski resorts. Sponsored by the Middle School PSO in cooperation with Boston Mills/Brandywine (BMBW) Ski Resort (http://www.bmbw.com).